I have a new cookbook – Make Bake Cookies, The Recipe Book and I totally adore it. I remember when the post man brought it to me, after opening the parcel I immediately had to send them a thank you email stating “this must be the most beautiful cookbook we own”. It really is that pretty. Sporting a hard cover with pages shaped like cookies marking each chapter. The Make Bake Cookies, The Recipe Book contains five chapters + an introduction. Surprisingly the introduction is very useful; you can find in there all you need to know about the basics, your star ingredients, essential equipment, icing, piping, storage and my favourite parts – the secret to success and baked to perfection. 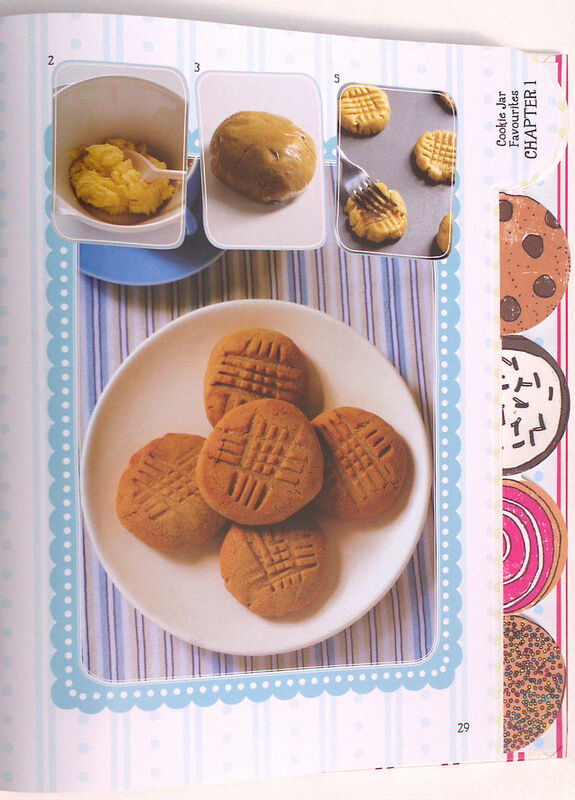 Make Bake Cookies, The Recipe Book is printed on wipe clean shiny paper. Every single recipe has a clear image and clear instructions on how to achieve the final look. This is the main reason why I am so drawn into this book. For me when cooking / baking pictures are very important, especially when I am making something for the first time. It is nice to have something to aim for and later on compare it to. I have studied this book many times now and I have picked my favourite recipe: button cookies. The recipe seems very easy and I love the look of the finished cookies. As soon as we get some food colouring I will attempt to make them. My second pick from the book are peanut butter cookies. Again something quick and easy… I have no excuse not to bake them as all ingredients are already present in the house, so… I will get baking and share with you my experience very shortly. If you think that Make Bake Cookies, The Recipe Book might be perfect for you, you can purchase it from Amazon. It retails at £14.00 but it is currently on sale and its current price is down to £9.18. * I received this book for free from Parragon as a part of my Book Buddy pack. Yum some of those cookies look fantastic – we love baking things like that at home. I love the buttons, amazing! Those button cookies are so adorable! They would probably sell so quick at a craft fair! I would be so interested to hear your experiences baking from the book. I love the idea of the button cookies but I know from experience that when I bake cookies and try and make a shape it changes so much in the oven that the shape is lost. Enjoy baking! LOVE those button cookies – just think of all the variations you could come up with, and if you’re stuck for inspiration just look through your button jar! Fab! Love love love the book! My husband would eat biscuits for breakfast lunch and dinner if I let him. I adore peanut butter cookies too. Will you be blogging the recipe? It’s a fun and fab book isn’t it? I just loved the recipes in it and the way it was presented too! I love cook books and baking. 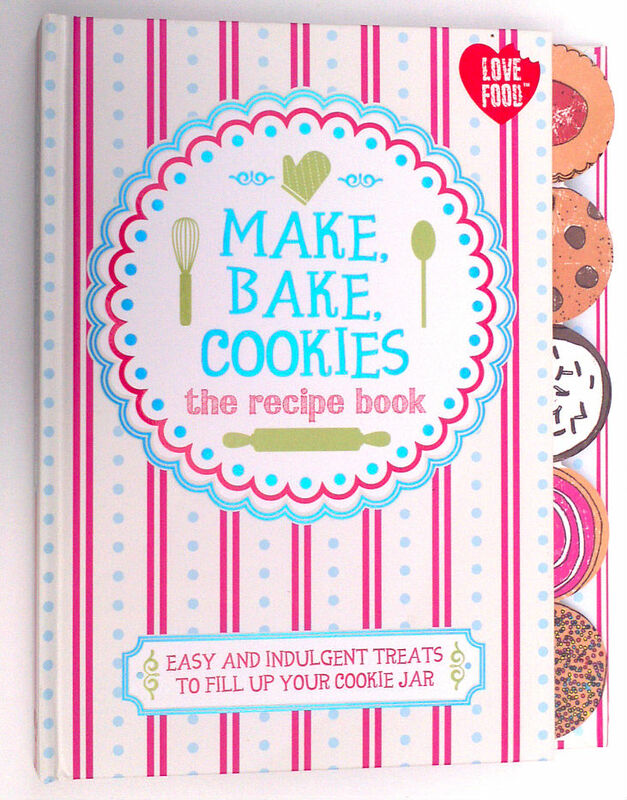 This sounds like a fab present for one of my girls who love all things cookie!